Domestic Pleasantries | Que Sera Sara? Number 14? Check & check. Someday I will showcase my (tiny, but growing) rummage sale china collection, but not today. Today all that matters is that I breakfasted in the by window, watching the leaves turn. I ate homemade walnut bread. Off of Martha Stewart’s Wedgwood. I drank fresh orange juice. And I did a crossword puzzle. It’s amazing, but twelve minutes of pure indulgence makes everything seem much rosier. 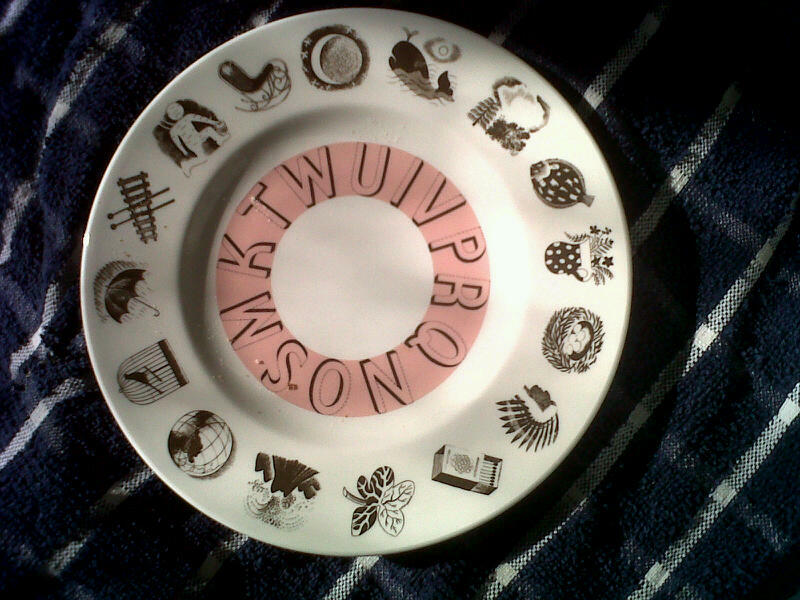 ps, don’t you love this plate? My mom gave it to me years ago. The whale makes me especially happy.